Melbourne Cricket Club was founded in November 1838 when the population of the Port Phillip District was only about 2000. The first cricket match was played between the MCC and a military team on the Old Mint site in William Street, Melbourne. However, this area proved unsuitable and in January 1839 the club established its second ground at the foot of Batman's Hill, now Spencer Street Railway Station. This was Melbourne's cricket ground until October 1846 when impending acquisition for railway use forced a transfer to the southern bank of the Yarra near the present Crown Casino site. John Pascoe Fawkner had planted the colony's first wheat crop on this field, but it was susceptible to flooding and the club had to advertise more than once for the return of its dressing shed when the Yarra broke its banks! The MCC's third ground was the site of Victoria's first inter-colonial match (Port Phillip versus Van Diemen's Land in 1852). This was a return fixture as the Port Phillip team had played Van Diemen's Land at Launceston a year earlier to celebrate the separation of the Port Phillip District from New South Wales and the creation of the Colony of Victoria. In 1853 the MCC was advised that the route of Australia's first steam train to Sandridge (Port Melbourne) would pass through its ground and they would need to move elsewhere. On appeal to Governor La Trobe the club was given the choice of three sites - adjacent to the existing ground, at the junction of Flinders and Spring streets or an area within the Police Paddock at Richmond. 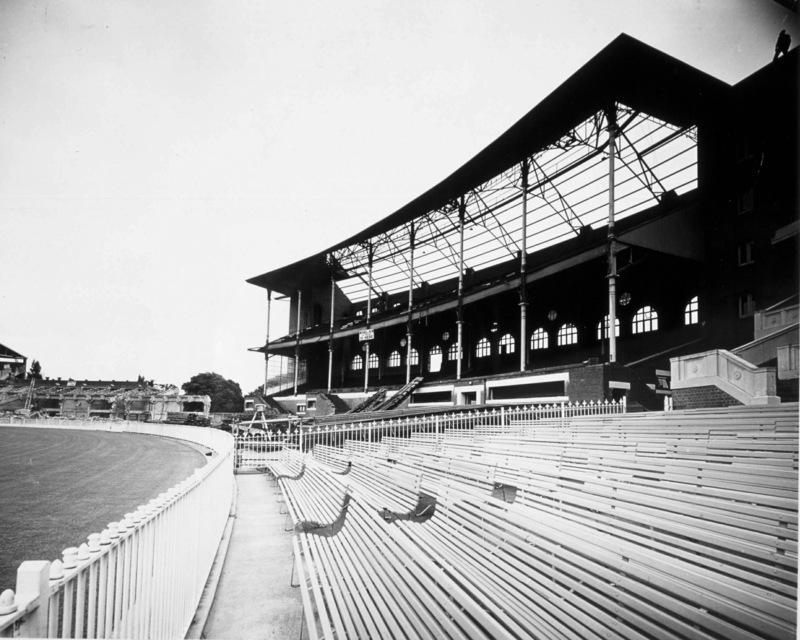 An MCC sub-committee chose the third because "the situation was quite as level as desirable yet afforded sufficient slope that without interfering with the game would ensure its always being free from floods".